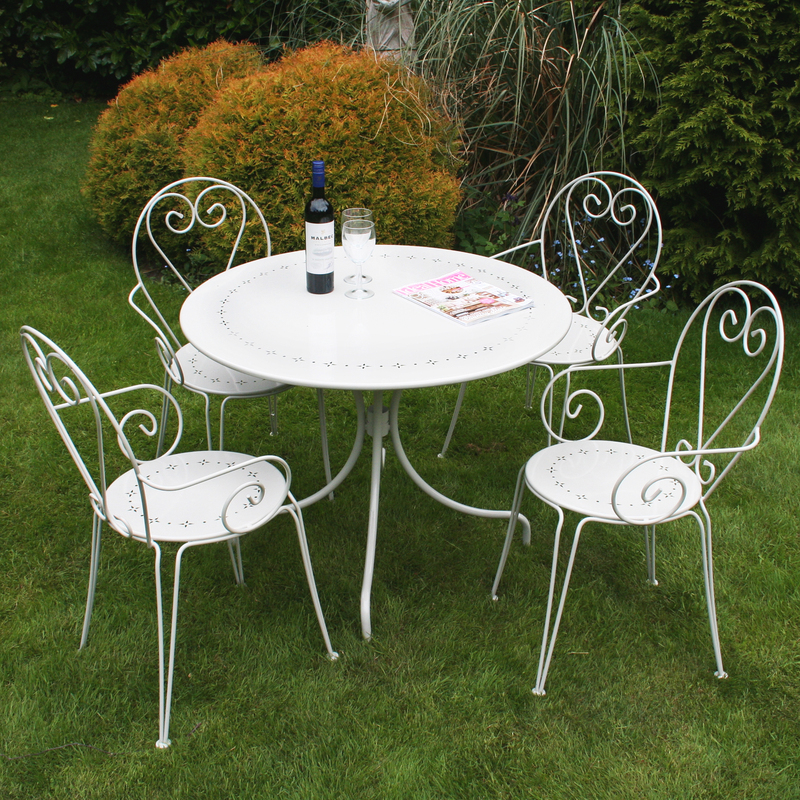 This 5 piece garden furniture set is ideal for sitting outdoors in your garden or on your patio with your family and friends. 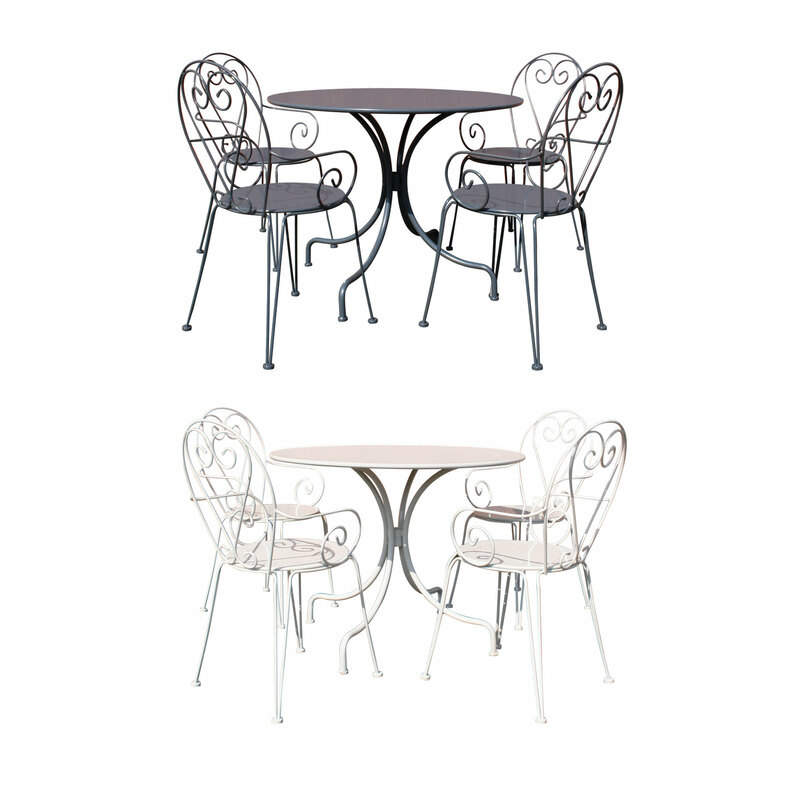 The furniture set has a powder coated finish and is rust and weather resistant. 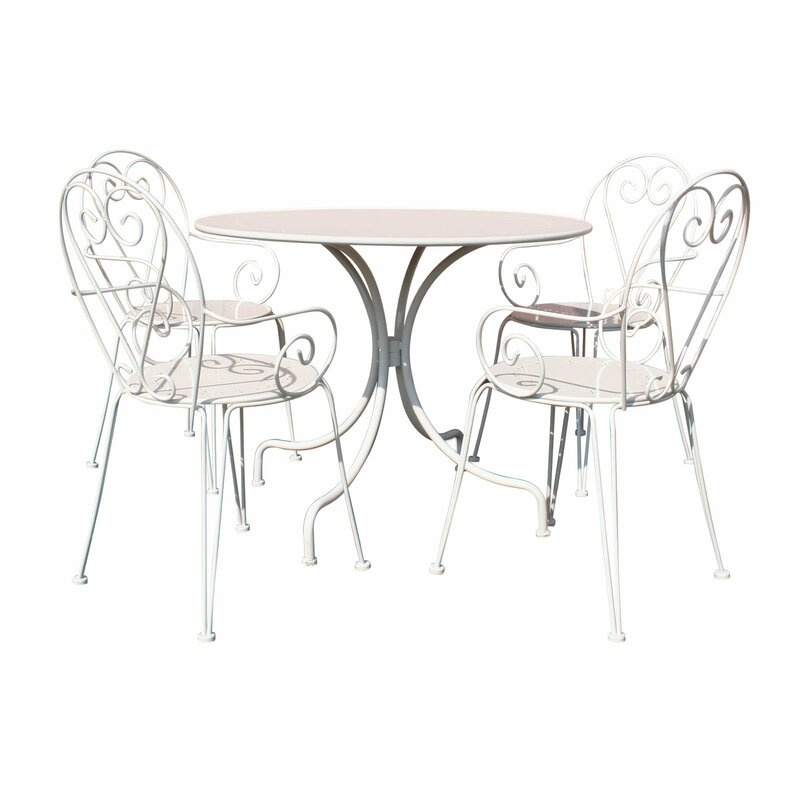 The set is made from steel and is available in cream or grey. It features a pretty heart design giving it a french shabby chic feel and would suit any garden.